Welcome to the Dale Insurance website. We respect the privacy concerns of the users of the Internet and this Web site. We believe it is important we inform you how we treat the information we receive on the Internet, and provide this privacy statement to explain what information we collect and how this information may be used. You can visit the Dale Insurance site without revealing personal information about yourself. We and or our vendors may collect domain names plus the e-mail addresses of only those visitors that choose to provide it. This information is utilized to measure such items as but not limited to number of visits, pages viewed, etc. Dale Insurance may use this information to measure the use of our site and to make adjustments as needed for improved content. The Dale Insurance Web site may also contain links to other Web sites. We try to provide only links to sites that support our dedication to high standards and respect for your privacy. However, we cannot be responsible for the content or the privacy practices of these other sites. Furthermore, Dale Insurance has no control over these external internet addesses and therefore cannot gurantee any information or any part of these external sites. Please review any terms and conditions set forth by those individual sites. Security for all personal information is important to us. However, no data transmission via the Internet can be guaranteed to be 100% secure. While we strive to protect your personal information, The Dale Insurance Web site cannot ensure or warrant the security of any information you transmit to us through this Web site, and you do so at your own risk. Once your transmission is received, we will do our best effort to ensure its security on our systems. Dale Insurance may make changes to this Privacy Notice by posting it on this site and at the sole discrestion of the Dale Insurance. Please review our notice for changes on a regular basis. 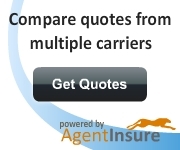 This Web site is provided by Dale Insurance. By visiting this site, you agree to abide by the terms and conditions set forth in this notice or included as part of our privacy statement. If you do not agree to abide by these terms and conditions, simply do not use the site. The Dale Insurance grants you access to materials contained herein. You agree not to interrupt or attempt to interrupt the operation of this Web site in any way. Dale Insurance authorizes you to only view the information on our Web site. Dale Insurance does not authorize you, and you are strictly forbidden, to copy information from this site to use, publicly display, or distribute or otherwise use for any commercial purpose without the expressed written permission of Dale Insurance. The Dale Insurance Web site may contain links to other Web sites. By visiting those sites, you agree to abide by any terms and conditions set forth in the notices of those sites. Disclaimer: MATERIAL CONTAINED IN THIS WEB SITE MAY CONTAIN INFORMATIONAL OR FACTUAL INACCURACIES AND OR TYPOGRAPHICAL ERRORS. Dale Insurance ASSUMES NO RESPONSIBILITY OR LIABILITY FOR ANY CONTENT AND INFORMATION PROVIDED WITHIN, OR ANY CIRCUMSTANCES ARISING OUT OF THE USE OF OTHER WEB SITES THAT ARE LINKED TO OR FROM THIS WEB SITE. ANY AND ALL RESPONSIBILITY FOR THOSE SITES IS SOLELY WITH THAT RESPECTIVE SITE OWNERS. YOU ACKNOWLEDGE THAT ANY RELIANCE ON ANY OPINION, ADVICE, STATEMENT AND OR INFORMATION SHALL BE AT YOUR OWN RISK. Dale Insurance RESERVES THE RIGHT, AT ITS SOLE DISCRETION, TO CORRECT ANY ERRORS OR OMISSIONS IN ANY PART OF THIS WEB SITE.